← It’s Been Awhile! I apologize for that. Welcome to my Unity 3D Tutorial. I’m writing this to get folks up and running as quickly as possible with some of the simple things like setting up a project with all of the basic tools to create basic terrain, objects, lights, a skybox and some basic unityscript. Then we’ll work on some of the more esoteric topics like animated skyboxes (occlucding clouds) with day-night transitions, realistic terrain using height maps from GoogleEarth, and seamless transitions from scene-to-scene. 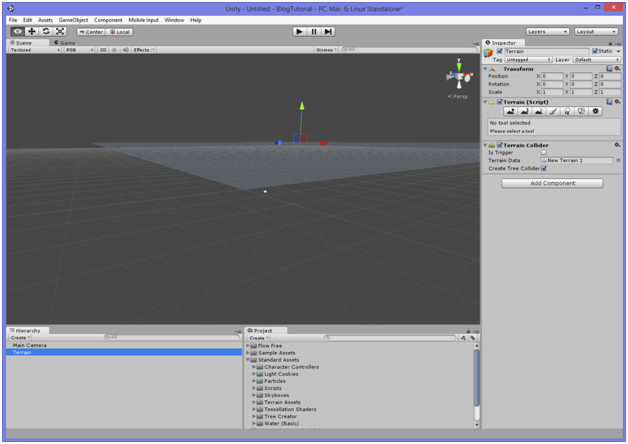 I’m also going to include how to extract and import assets from other games into your Unity environment. This is not legal to do if you’re going to market or distribute your game (even if it’s free). I include this information because most solo users do not have the time nor the training to build assets like these, and it’s also extremely valuable for such solo designers to see actual game objects and how they’re built. It also allows such soloists the tools to make quality ‘demo-reels’ to show prospective employers – just be sure to give credit where it’s due. I’m using Unity 3D V.4 on 64-bit Windows 8, so that is the platform this tutorial assumes. 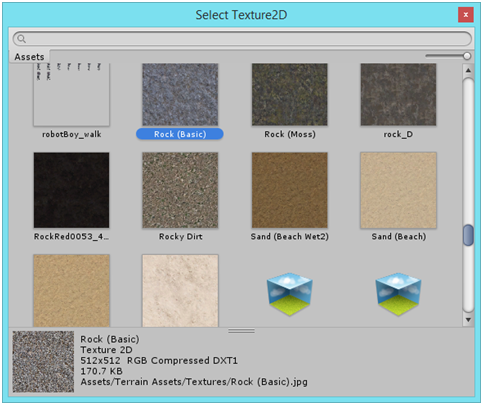 Open Unity 3D and from the “File” menu select “New Project.” You will want to make sure the path to where you want to store your project is correct – if not, simply browse to the proper parent folder. Once you’re there, in the empty part of the browsing window, right-click and create a New Folder. Name the new folder what you want to call your project. 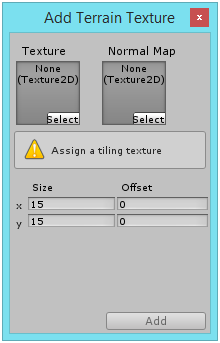 Project names in Unity are inherited from their folder name. 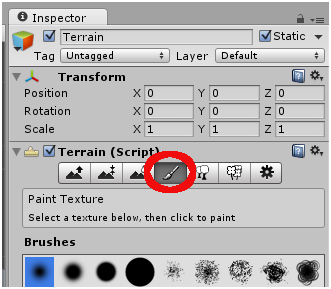 Now you should have “Terrain” listed and highlighted in your “Hierarchy” pane, and some information should also be displayed in the “Inspector” pane. Under “Settings” set the Height to 200. Since our overall terrain height is 600, this will allow us to have “oceans” (or underground structures) up to 200 meters down and “mountains” up to 400 meters tall. You MUST hit the “Flatten” button for this setting to take effect. If you have a middle-scroll wheel, you can use that to zoom in/out. 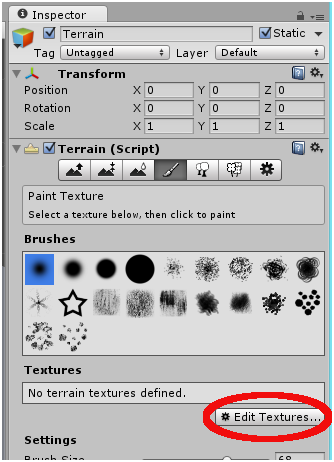 You can use the various brushes to “paint” the terrain. 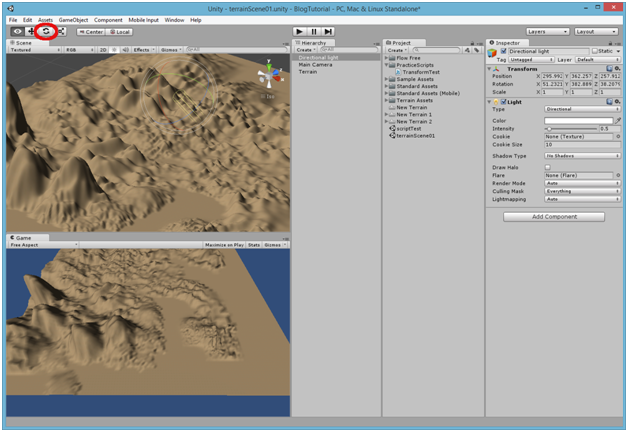 Left-click and drag over the terrain plane to build UP (all strokes are additive, the more you paint, the higher the terrain gets). If you want to create a valley, shift-left-click & drag to build DOWN. 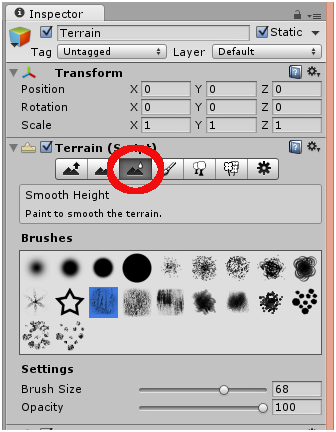 Remember if your terrain gets totally out of control, you can always go to the “Paint Height” section (outlined earlier) and click the “Flatten” button to “erase” everything and start over. 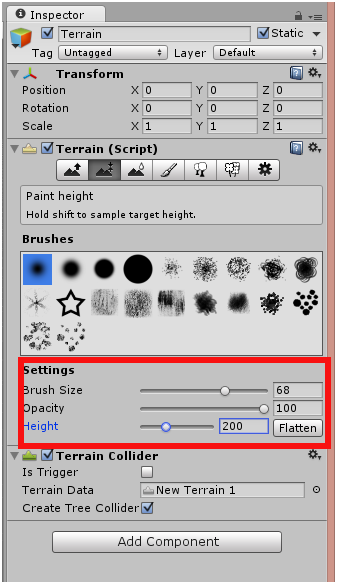 The brushes and mouse buttons in this tool behave the same as terrain painting, but instead of harsh up-down creation, the brushes just smooth out the terrain. Building a good looking terrain takes a lot of experimentation, so feel free to play with several of these tools and flattening the terrain to start over with a blank canvas when you’re comfortable enough to build a realistic terrain. 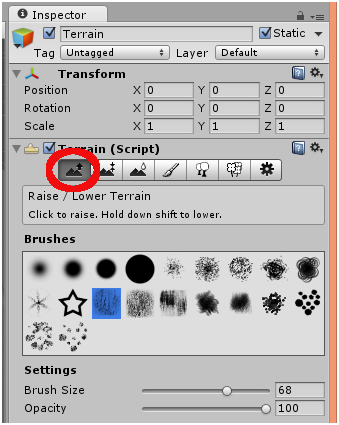 Once you get a working terrain, you’ll want to add a directional light (a light that casts shadows). The directional light acts like a Sun in your scene. 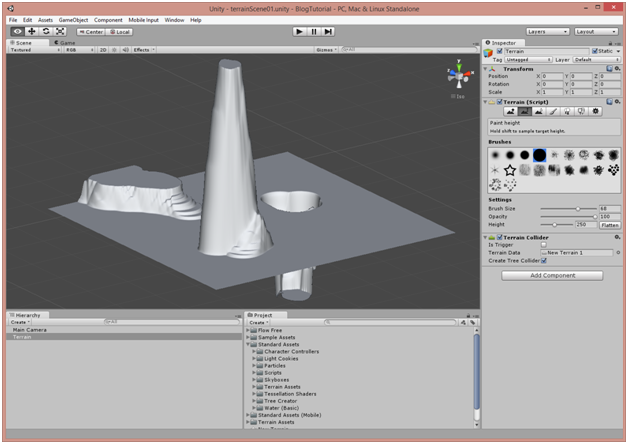 To add one, use the “GameObject” menu, select “Create Other” and finally select “Directional Light.” To bring the light into the view so you can adjust it easily, make sure the Directional Light is highlighted in the “Hierarchy” tab and then from the “GameObject” menu select “Move To View.” This will move the light into your view so you can adjust it. To change the angle/direction of the light, select the “Rotate” button from the top-left set of buttons and use the circular “handles” to rotate the lamp on its various axes. Wish you have time to continue your the video “companion guide” for Grand Lenormand cards.